At Hidden Paradise Pet Kennels, we want your dog’s boarding experience to be relaxing and enjoyable. In fact, we want them to feel right at home as a part of our family. In an effort to make that possible, we have implemented some simple guidelines that we ask our responsible pet owner clients to follow. • First, we understand that you are your dog’s most trusted friend; that’s why you are the one to place your loveable friend in the kennel at drop off time, and take him out when it’s time to go home. This helps your pet understand that you trust us, and it’s OK for him to trust us, too. • We offer 24/7 access, and you may pick up or drop off your dog at any time without additional charges, because we know that traveling out of town can mean late night or early morning departures and arrivals. • It’s important that your pet has an opportunity to meet our owner, Curt, especially if you plan to drop your dog off outside of our normal business hours, because this helps your pet feel comfortable and facilitates an enjoyable kenneling experience. 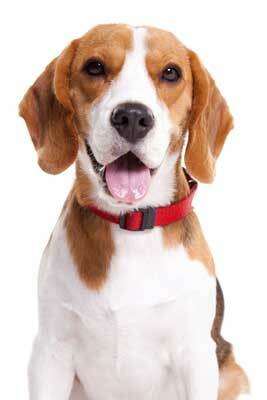 • Your dog must be current with all their shots and updated shot records must be presented at check in. Those include DHPP, Bordetella (kennel cough), and Rabies vaccinations. Any dog without updated shots cannot be accepted for boarding. • No charge for medical pills given if you provide Greenies Pill Pockets or Milk-Bone Fill Pouches with the prescribed pills already in the Pill Pockets, complete with written instructions. We will take your dog for professional grooming within the Sioux Falls city limits for $10. Just schedule ahead of time and then pick up your pet the last day of boarding at the groomers. If you would like your dog to undergo obedience training while staying with us we will provide that service for a $650 fee. Call for details. Some more aggressive breeds like Pit Bulls, Pit Bull mixes and Staffordshire Terriers are subject to an additional boarding surcharge of $15 per day. We’d Love to Get to Know Your Pet! Or use our Contact Us page now. Reservation requests can be submitted by using our convenient online form. **After Labor Day & before Memorial Day, office will be closed on Sunday for drop off or pick up unless dog owner has appointment. ©2018 Hidden Paradise Kennels. Website by Arvig® Media.